Title insurance in the United States is a contract that assures that the buyer will enjoy the property free of liens, encumbrances, limitations of domain or any other real estate rights. It is the obligation of the Title Company to review the title and authorize a clean transfer and enjoyment of the real estate. In Mexico we have an office called “Registro Público de la Propiedad” which records transfers of title, limitations of domain, encumbrances, liens, etc. According to the Notary Act, (Ley del Notariado) a Notary has the obligation, when witnessing a transfer of title, a mortgage contract, etc., to obtain a “lien (or no lien) certificate” – similar to an abstract of title – from the recording office. If the notary fails to do this, then he/she can be civilly and criminally liable. Legality: only documents that fulfill the necessary requirements established by law can be recorded. The Office will record, among other things: sales, donations, exchange, trusts, assignment of trust rights, contract of property use, pre-nuptial agreements (regarding real estate) family patrimony protection, eminent domain expropriations, condominium regimes, etc. Differences and similarities between Title Insurance and the Registro Público. In the United States, in general, every transaction starts with a private sales contract, which usually provides for the seller to transfer the title to the buyer at the closing. The contract also provides an obligation for the seller to prove that the title is legally valid, free of liens and able to be transferred to a different party, it is called a Marketable Title. notary will request from the recording office a certified report regarding any encumbrances or liens or any other limitations. 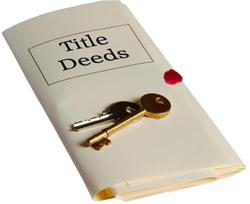 In the United States it is necessary to obtain the services of a title insurance company, an attorney or title researcher who will determine if the title is valid or not, if it has any reported liens or limitations, etc. buyers, price paid, paid taxes, floor plan, exact location, etc. In some cities like Guadalajara, Leon Guanajuato and Monterrey, the recording offices are almost 100% computerized while here in Vallarta the search is still done manually. Old decomposing books, slow service, expensive registration fees make our local office one of the most difficult to work with. We are working to change that. to pay their yearly trust fees, etc. Of course a real estate agent can help you but then there are so-called agents and developers who have, many times, misguided or defrauded many foreigners. There are people who have purchased property though a private contract and still have not received title. A licensed Realtor from the U.S. or Canada working in Mexico cannot guarantee reliable information simply because it is different here. How to record a transfer of title is one of the many differences between the two countries. pre-construction and unfinished real estate sales. offer these services. Until then, please always obtain the help of a professional.